With the advent of electronic currency trading anyone anywhere is the world can now trade and the account minimums offered by online currency brokers means, currency trading is not just for big players and institutions - anyone can be a currency trader. The skills needed to trade currencies remain the same as any days gone by, there have been changes to prices action in terms of volatility which you need to be aware of and deal with when you trade to make profits. Here we will look at the rise of Internet currency trading and the reason, electronic trading has made it easier to become a trader in terms of learning and execution but why, the number of losers to winners hasn't changed and this is due to traders, failing to manage volatility of price movement correctly. The volume of education available, to learn currency trading quickly has grown dramatically in recent years. Technology including the Internet, has made a huge amount of information available to traders for Free. The Internet has all the currency trading information you need to learn to trade successfully from - free charting tools, to live price feeds and a vast amount of education on all aspects of technical analysis. You can also buy additional products cheaply including - software to test any system over years of back data, a vast array of research, trading signals and training courses. Just 30 years ago, most private traders would have to draw charts by hand and rely, on the financial papers to get their price data. Today, price data is available to all traders in real time with just a click of a computer mouse. In days gone by back testing systems took long periods of time but today, powerful software makes testing easy and years of data, can be tested in just a few minutes or even seconds. Finally, online brokers bring news and instant trade execution, on low account minimums so private traders, are trading on a level playing field with professional traders. People can get started in currency trading easily and quickly with all the services available online but instant price data, research, news and instant order execution, has changed the volatility of the market. Financial markets are more volatile today and to become a successful trader you must understand and deal with this volatility to make profits on your trading strategy. When you look at a currency trading chart, you see a level of resistance which you think should break and its obvious to you so you decide to set an order to take the break. Now the problem is the level maybe obvious to you but its also obvious to other traders, who will want to trade off this level. Any trading system needs good money management to make money and this will allow your trading edge to work in your favour. One of the most ridiculous statement made in FOREX is a bad system can make money with good money management - How can this be good advice? If you have no trading edge, you will simply lose your account equity more slowly! Money management parameters and stops, need to be set so they help protect your money through periods of losses so your trading edge can help you make money long term. This needs to take into account of volatility so you don't exit the market to soon on small reactions within a trend but have protection as well and it's this balancing between risk and reward which is the key to long term success with any trading system. When setting stop losses, they should be placed at the same time, you enter your trading signal in the market. This means you are immediately covered against a move against your position. When putting a stop in the market, you need to place it so it allows you to hold the trend but does not get clipped by a small reaction which takes you out of the trend you are following to early. The rule of any speculation is you have to take risks to make money! Most traders have there stop loss to tight to their entry level and simply get taken out of their trades to quickly. It may look low risk, trading with tight stops but it simply ensures your equity in your trading account is eroded until you become yet another failed trader. When trading with a stop, give a sensible distance, between your entry and your stop exit, so you can stay following the trend and not get stopped out to early. Exit levels are just as important as entry levels and you need to make sure, you don't make the fatal mistake most traders do when placing stops which is to put protection within the noise of the market. Your entry rules to a trade should be simple and your stop level is easy to place as well - far enough away to make sure your stop is behind other losing traders but still gives you protection and preserves your trading equity. You can't trade currencies without taking a sensible risk and if you don't want to do this - don't trade FOREX. If you want to make money trading currencies, forget about trying to be to clever and don't be intimidated by technology. Internet trading makes it easier to learn currency trading and to transact your orders but its not a help when trying to make profits. Trading strategies which make profits rely on what they always have which is a specific trading edge which you know and money management which allows your edge to work for you and helps you make money. Many traders get caught up in the excitement of trading and fail to make money by running with the crowd in terms of basing their trading strategy on commonly held wisdom which sees them lose. These traders despite its obvious cannot see that the way they trade means volatility is always going to get their stops and eventually wipe out their accounts so don't make this mistake. 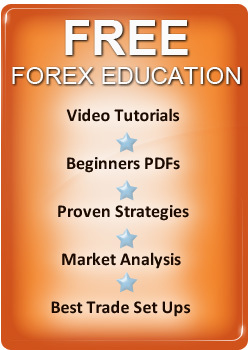 The FOREX trading skills needed to win have never changed, in the history of trading and never will. If you understand this, you can get a simple strategy with a defined trading edge and use robust money management rules, in a way which is different to the majority of traders and enjoy trading success. Youcan learn more about placing Currency Trading Signals and the Impact of Currency Trading Software on trading currencies on this site.